This isn't even close to all the cards I have, it's not even five percent. 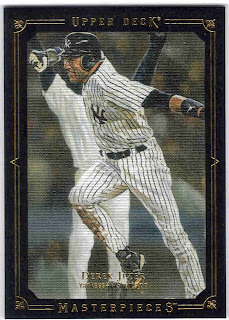 I uploaded some fun cards of Derek Jeter's on his birthday. 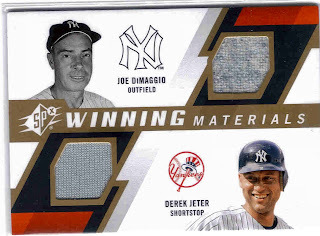 As I was going through my binders, I realized how much I liked cards about 10 years ago than I do the designs that are coming out. Oh well, I will still collect because it's what I love to do. 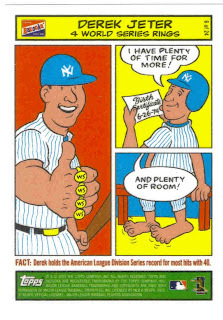 It seemed almost appropriate to start with this Bazooka comic card. Four rings, his birthday and plenty of room for more rings on his toes. 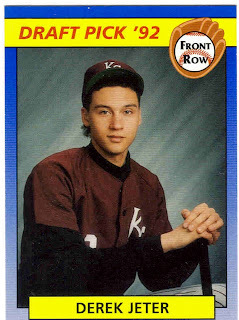 Well, we all know it stopped at four and time is running out for the 35-year-old short stop. 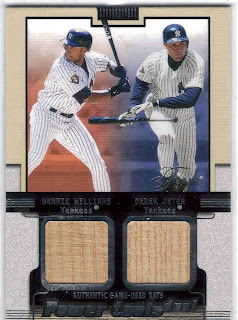 These are a few cards from Jeter's younger days. He got older and as he matured, the rings started piling on. He became loved in New York and hated everywhere else, especially Boston and Atlanta. 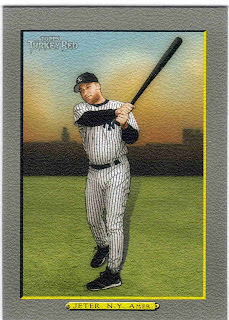 And, although, he wasn't much of a home run hitter pitchers still didn't want to face Captain Clutch. 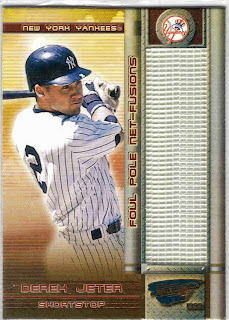 Jeter is one of the players that is going to go down in Yankee lore. Despite being 'overrated' he has the numbers, rings and hardware to back it up. 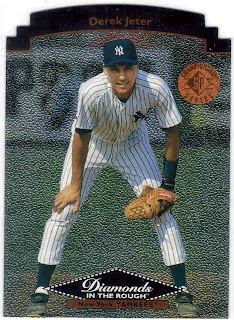 He and his teammates gave younger Yankee fans some of the best baseball memories. He's a competitor and a role model. He's a ladies man and loyal friend. Mostly, he just enjoys the game. 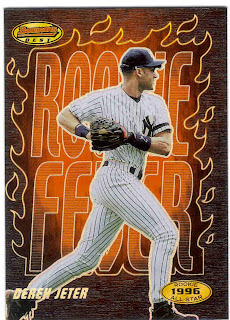 And, hopefully, he'll end his career as a Yankee. The End. Happy Birthday, old man. awesome. 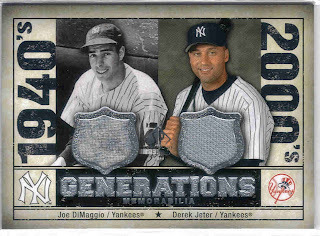 love the generations with Joe D.
The Draft Pick 92 card is a hoot. 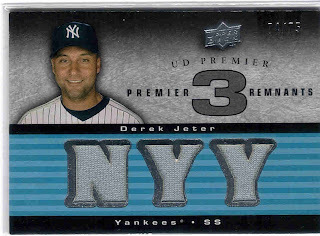 What "hardware" does Jeter own? 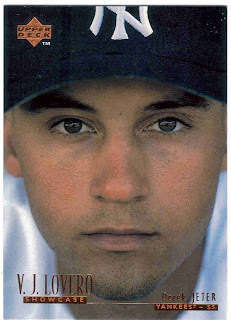 If Derek Jeter ever goes to another team, it would show just how screwed up free agency and how greedy players have gotten. 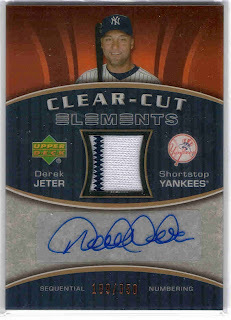 He needs to be of the now rare breed, the type that is a Yankee for life, never making a uni-cameo with another team. 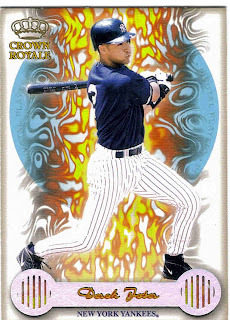 As a Piazza Fan, it felt wrong seeing him in Padres or A's Jerseys. (I'm a Marlin, Met, A's Fan). Even Worse was Joe Willy Namath as a Ram, or Brett Farve as a Jet and Viking now. 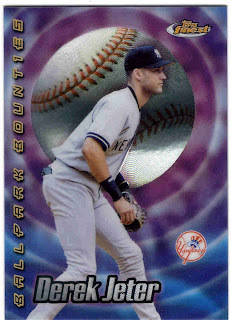 I really don't think he will leave the Yankees. He is one of the few "younger" players that get it. 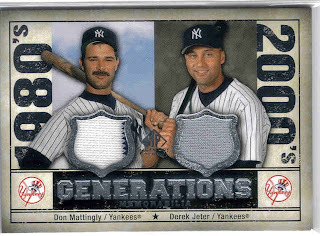 A respect for the game that is, and the history of the game.